A step in the right direction, Nintendo today announced that North American gamers (whether this is US, Canada, or both) will be able to get their grubby little hands on the black controllers Japan gamers have already had. The black Wii Remote and MotionPlus bundle is exactly that, a combo package with both accessories. Since Nintendo is not one to skimp on price, expect to pay the full $59.99 when it hits this holiday. 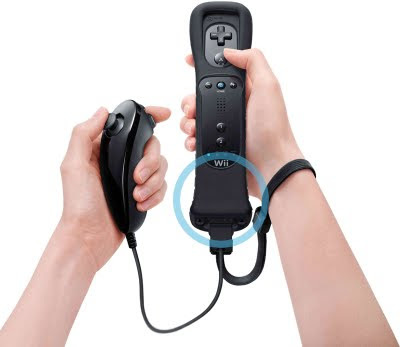 To go along with this, they have also announced the black Nunchuck with the Wii Remote combo. You didn't think they'd leave you hanging with a white nunchuck and black Wii Remote, now did you? Same deal, no price (expect the normal $19.99) or date. And finally, in the same presser, Nintendo has announced the first two colors for the DSi since the systems launch: Pink and White. No fancy names yet, just pink and white.